Al Haymon is against the idea, but superstar Floyd “Money” Mayweather says he will fight again, inside the Octagon, but only if, yes, you guessed it, the money, “is right.” Speaking yesterday with Showtime, the 41 year old with the spotless 50-0 pro record, said “it is possible I come back”. 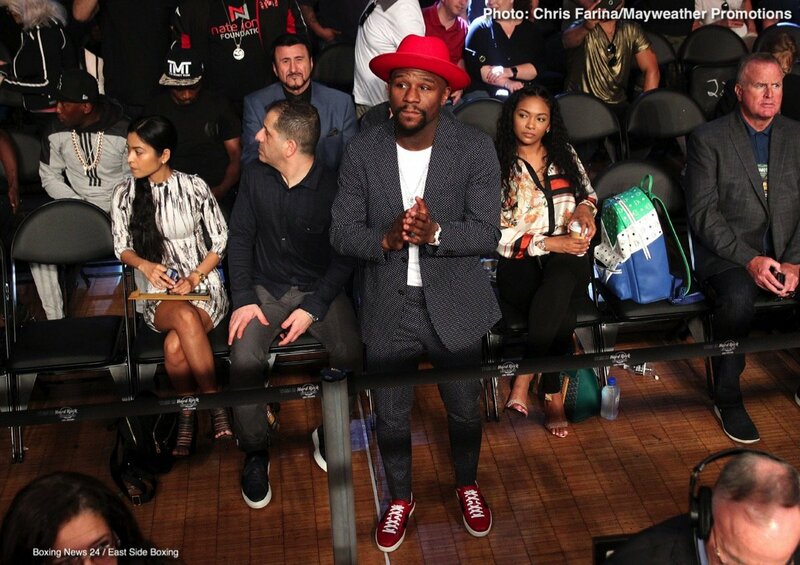 It is this show of arrogance, this sheer bravado that will have many millions of fans tuning in (and paying for the privilege of doing so – perhaps as much as $100) in the hope of seeing Mayweather brought down a peg or two, even badly beaten inside the cage. Mayweather is smart enough to have played the bad guy all these years and he is smart enough to realise how much interest there will be if he fights in the Octagon – is this the one place where Floyd will actually lose a fight? If he does fight an MMA bout, Mayweather says it will be at 145 pounds. This then effectively rules out a return bout with Conor McGregor (who, thanks to his recent sheer idiocy involving a tour bus, has problems of his own and may never even fight again, at least not if his deserved punishment is handed down by anything approaching a firm hand). But whoever Floyd fights, it promises to be a big event. “Money” just cannot say no to more money, can he? “Retirement has been great but as you know and everyone knows, I go in retirement and I come back. It is possible I do come back, but if I do come back, it has to be in the Octagon. “I spoke with my team, I spoke with Al Haymon. Al Haymon says no. I spoke with SHOWTIME, I spoke with CBS. If I do come back, SHOWTIME and CBS has to be involved. Do you want to do it (come back)? Next boxing news: What next for James DeGale, Caleb Truax?